The CleanFinancial.com guide to spread betting on Diageo shares. Where to Trade Diageo Shares for Free? Where to Practice Trading Diageo Shares? How to Spread Bet on Diageo? 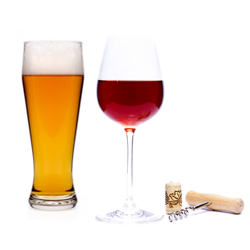 CleanFinancial.com readers should note that you might also be able to spread bet on Diageo via other firms. Where Can I Find Live Prices and Charts for Diageo? The following CFDs chart and prices offers users a good guide to the Diageo market. The chart above is provided by Plus 500 and typically tracks the underlying Diageo futures market. If you would like to access spread trading charts and live prices for Diageo, an option is to use a financial spread betting account. 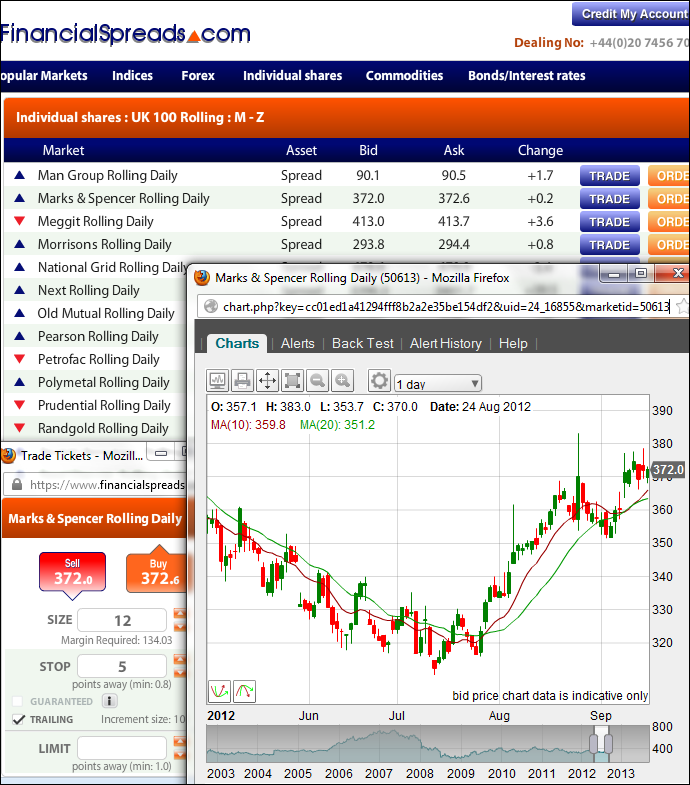 A spreads account can also give you access to spot markets. Users should note that opening an account is subject to status and suitability checks. If your application is accepted, you can log on and study the charts and prices. On most platforms, these are provided as part of the service. Having said that, you're likely to get the odd call or newsletter from your chosen broker. Of course, if you decide to trade then you should be aware that spread trading and CFDs involve a significant level of risk and you could lose more than your initial investment. See below for more on advanced Diageo charts. The shares are trading higher than the 20-DMA of 2484.6p and higher than the 50-DMA of 2515.2p. Price data from Google Finance. Also see Live DGE.L Share Price & Charts and About Diageo for more information. 11-Oct-13 [8:05am] With Diageo and Burberry expecting trading updates next week (Tuesday and Thursday respectively) this trading video discusses the outlook for both shares. Where Can I Spread Bet on Diageo for Free? Investing in the markets always includes an element of risk, but if you want to try a completely free Practice Account, that allows you to trial financial spread betting and access trading charts, please see below. When deciding which investment option might work for you, don't forget that spread trading in the UK is tax free*. Each of the spread betting companies listed above currently provide a Demo Account that allows users to practice with a variety of orders, review charts and test new ideas. Should an investor want to speculate on companies such as Diageo then one possibility could be to place a spread bet on the Diageo share price. Whilst making a spread bet on FTSE 350 shares you trade in £x per penny. So, if you decide to invest £4 per penny and the Diageo share price moves 33p then that would make a difference to your P&L of £132. £4 per penny x 33p = £132. This is a Rolling Daily Market which means that there is no closing date for this market. If you leave your position open at the end of the day, it will stay open and roll over into the next day. Then you could decide that you are going to buy at 1765.4p and invest, for the sake of argument, £4 per penny. With such a spread bet you make a profit of £4 for every penny that the Diageo shares move above 1765.4p. Nevertheless, you will lose £4 for every penny that the Diageo market falls below 1765.4p. Considering this from another angle, if you were to ‘Buy’ a spread bet then your P&L is worked out by taking the difference between the final price of the market and the initial price you bought the spread at. You then multiply that difference in price by your stake. Speculating on equities, whether by spread betting or not, is not always easy. In the above example, you had bet that the share price would increase. However, it can also fall. If the Diageo share price began to fall then you might decide to settle/close your spread bet in order to limit your losses. Note: Diageo Rolling Daily spread correct as of 19-Oct-12. Advert: Diageo Spread Betting, sponsored by FinancialSpreads.com. You can spread bet on Diageo with Financial Spreads. Diageo spread betting and trading guide with live DGE prices and charts. Plus, daily updates, broker recommendations on Diageo, where to spread bet on the UK shares tax-free* and commission-free, how to trade... » read from top.